Luminus Management, managed by Jonathan Barrett and Paul Segal, has increased its exposure in Dynegy Inc. (NYSE:DYN). A new amended filing shows that the fund now owns 5.98 million shares of Dynegy. The stake represents an increase from 5.16 million shares disclosed previously, and is equal to 5.96% of the outstanding stock. 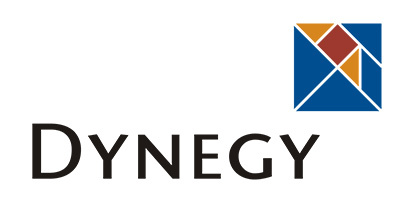 Dynegy Inc. (NYSE:DYN) is engaged in producing and selling of electric energy, capacity and ancillary services in key U.S. markets. The company recently conducted an exchange offer of $500 million of its 5.875% senior notes due 2023 registered under the Securities Act of 1933 for all $500 million of its outstanding 5.875% senior notes due 2023. The exchange offer expired at 5:00 p.m., New York City time, on April 14, 2014. For the fourth quarter 2013, the company posted a total Adjusted EBITDA of $63 million, compared to $42 million for the same period in 2012. The operating loss for the quarter was $107 million, compared to an operating loss of $104 million for the same period in 2012. Net loss for the fourth quarter 2013 was $91 million, compared to $107 million for the same period in 2012. On a full-year basis, the company reported 2013 total adjusted EBITDA of $227 million, compared to $57 million for 2012. For the full year 2013, operating loss was $318 million, according to a statement. For 2014, the company forecasts total adjusted EBITDA guidance to be between $300 million and $350 million. The 2014 free cash flow guidance has been set at $10 million to $60 million. In its latest 13F, Howard Marks of Oaktree Capital Management disclosed holding 8.25 million shares of the company. Another hedge fund, Marc Lasry’s Avenue Capital, held 5.08 million shares as of the end of 2013. New York City-based Luminus Management was founded in 2002. The fund focuses on a long/short strategy that seeks to capitalize on investment opportunities across the capital structure of companies primarily in power, utility and related sectors. At the end of fourth quarter of 2013, the value of the fund’s equity portfolio was $1.65 billion. Luminus Management’s 13F showed that Calpine Corporation (NYSE:CPN) was the most value holding, in which the fund owned around 6.60 million shares.